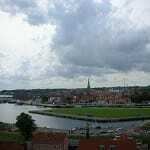 Today’s post was originally published on February 22, 2010. It was substantially revised and re-posted on April 13, 2015. Once worn by queens and saints, today this name is often cited as the name you’d never give your girl. 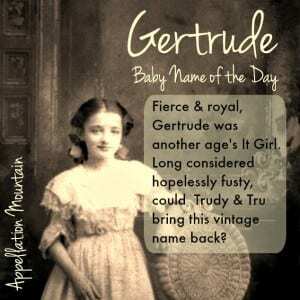 Thanks to Jillian for suggesting Gertrude as our Baby Name of the Day. Gertrude’s meaning is fierce. Ger means spear, as in Garrett and Roger. The second bit means strength. She’s a stalwart Germanic appellation, more warrior queen than fairy princess. Many a Gertrude was born royal, including the seventh century Saint Gertrude of Nivelles. There’s also Gertrude of Hackeborn, the abbess of a convent in Helfta in the 1200s. The future Saint Gertrude the Great studied under Gertrude of Hackeborn at Helfta, and went on to become a famous mystic. Between the 1000s and 1400s, there were Gertrudes aplenty amongst the ruling houses of Austria and all of the other states of the Holy Roman Empire. Denmark and Hungary had queens by the name. It was also the name of the devious queen in Shakespeare’s Hamlet. Let’s say this: if you were penning a work of historical fiction set in Germanic Europe circa 1200, Gertrude is a solid choice for an aristocratic, accomplished woman. By the nineteenth century, Gertrude was all the rage. And in the early twentieth? 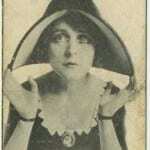 Gertrude ranked in the US Top 30 from the 1880s into the 1910s, and stayed in the Top 100 through 1930. Okay, so that’s not quite as popular as Ava. Maybe she’s more like Andrea in the 1980s or Jasmine in more recent years. Still, there were plenty of women, real and fictional, answering to the name in the era. Herman Hesse’s fictional tortured artist, at the center of his novel Gertrud. Gertrude Chandler Warner, the author of the Boxcar Children series. Socialite, sculptor, and patron of the arts, Gertrude Vanderbilt Whitney – that’s her in the portrait. English archeologist and travel writer Gertrude Lowthian Bell worked with T.E. Lawrence to develop the modern Middle East. Gertrude Stein, perhaps the best known of the bunch, was a writer and leading figure in modern literature. Here’s a quirky one: the name Gertruda apparently found favor with Russian revolutionaries. Why? The phrase geroinya truda means Hero of Labor – and can be contracted to form Gertruda. By 1966, Gertrude had exited the US Top 1000 entirely. And yet, every member of Generation X knows the name, thanks to 1982 blockbuster E.T. the Extra-Terrestrial. A young Drew Barrymore played adorable, five year old Gertie. There’s also Trudie, as in Styler, wife of Sting. 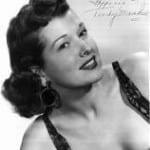 Trudy could be a sister for Hattie, or a substitute for Lucy. Of course, like Sadie and company, it’s easy to imagine parents forgoing the formal name. Another possible short form: Tru or True, both current in 2015. None of the numbers are enough to declare a trend, and yet I think the true sound is on the upswing. If you love Beatrice and Eleanor, but worry that they’re too common, Gertrude might be just the thing – a serious name with stylish short forms, a classic seldom heard today. What do you think – is Gertrude ready for revival? My great grandmother’s name was Lucy. She hated it and went by her middle name Gertrude instead. Still, I’d have a hard time with this as a first name for any of my girls. Maybe it will come back someday. How about Greta for name of the day? I love it! So short and sweet and old fashioned. I have a Gertrude!!! She is currently 4 1/2 years old (born 11/11). We call her Gertie, Gert or Squirt. She is STRONG of will and fits her name WELL! She loves her name and I frequently remind her that it means ‘strength of a spear’ which we use when she needs to do something she doesn’t want or is scared. People who have met her absolutely love it and say it fits. Her older brother is Elliott and both were named for the movie I grew up loving! I’ve always loved Gertrude, and Mabel and all the other revived Grandma names, but I like her even more now I know her feisty meaning. Either Trudy or Gertie are sweet nicknames. I would love to see this used more around my way – it looks like there have only been 15 Gertrudes born in England and Wales since 1996. I love Ermintrude/Ermentrude/Ermenthrudis, so I’m fine hearing and seeing Gertrude. My grandmother had a friend name Gertrude, and her other friends were Ethel, Mabel, Belinda, and Delores. Gertrude is a family name and my mother went to public school and modeling school with two different women named Gertrude. My mother was born in the 1960’s. Gertrude feels like a name that is everywhere and for every decade. My paternal grandmother was named Gertrude Winifred, and one of her two names became my middle name. As I child I liked neither, but was a tiny little bit happier I got Winifred. Now as an adult, and a name freak, I wish my parents would have selected Gertrude. I absolutely love the name Gertrude. My daughter’s name is Trudy. I’d initially planned to name her Gertrude after my grandmother, but she hated her name and went by “Trudy” all her life and my husband wasn’t sold on putting it on the birth certificate. I was worried about how people would react to seeing such a fusty name on a tiny baby or little girl, but the response has been overwhelmingly positive. I get big smiles from the great grandparent generation and stories of beloved mothers, grandmothers, and music teachers generations after. One of my friends told me that it was a great name to give a little girl because “Trudys don’t take nothing from nobody.” With all the Arthurs, Jacks, Sebastians, Lucies, Emmas, and Sadies on the playground at least she doesn’t sound out of place. My 88 year old mother is Gertrude Amelia and goes by GiGi. She is a real spit-fire, buzzes around town in her little red car, has a younger boyfriend and is on everyone’s social list because she is the life of the party. And now I love the name even more! Oh, I love Gertrude. I can understand why most people don’t, but for me it’s permanently tied to my great aunt who was an incredibly strong, kind, generous (and gorgeous) woman in her day. I imagine Trudy will catch on before Gertrude does (if it ever truly “catches on”), but I will always root for Gertrude in her entirety. I’m so glad this post has been updated! I love Gertrude. It’s one of my favorite names. It has been for a long time. The Gert makes me of gurgle, like a brook or baby laughing. 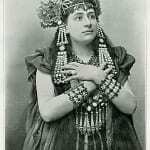 As a member of the Society for Creative Anachronism, I chose the name Giertrud, a Scandinavian form of Gertrude. I quite like the name Gertrude. I always have, especially with the nn Trudy. This one of those names that I probably would not use myself but would be thrilled to see someone else use it. This is one of those names that I wonder if it isn’t age-related or style related in terms of those who like. I really don’t mean to stereotype, but I often saw on YA that many people didn’t like it – the majority. Those who did, had a strong love for vintage names or were over the age of 40. Out of all the vintage names. I think it won’t be one that would be use a lot. I think you’d have the reaction that Uma Thurman did in the movie Motherhood, where she was getting a birthday cake at the bakery & they misspelled her daughters name to Clarra as opposed to Clara. The people in line said that this is what happens when you give your kid an ‘Edna’ name. Overall, the movie wasn’t that good, but the names in the movie stood out for me for many reasons.The movie absolutely correlated with an article I read at nameberry about names in New York. I would love Gertrude, especially with the nickname Trudie, but my German husband associates it with the Third Reich, especially with Gertrud Scholtz-Klink. It’s a pity because Trudie is a name that works so well in German and English. Julie, that’s interesting. I’ve often wondered about the impact of WWII on German names. I remember in high school hearing that the teaching of the German language declined in the 1940s and 50s. (I went to a small school, and if memory serves, my friend Aric campaigned hard to get it back in the curriculum.) I just Google’d Gertrud Scholtz-Klink, and I must say, she wouldn’t inspire me to name a daughter Trudie, either. Shudder. I am sad that people have such negative reactions to Gertrude. To me she’s my grandmother (still living independently at 95) and one of the most amazing caring people I know. But like my Grandma Mabel, they both think their names are too dated and not pretty enough for use on a girl born today. To me, Gertrude is forever musty-dusty, as is Mathilda; I don’t care how many hipsters use them. That’s one thing I have noticed: geography can play a huge part in how people view names. I’ve often noticed that what seems dull & dated to me is fresh, nouveu or even vintage to someone else. When I was growing up, we had a neighbor named Gertrude–young, too, about my dad’s age. Plus, my older brother had a classmate named Trudy, which I love–more unique than Stacy or Tracy, but feels younger than Judy. If Gertrude was a family name, I would embrace it! I really, really love Gertrude. I agree that it fits in with the current Adelaides and Matildas. I like it, it grows on you. Especially with the sweet old fashioned nicknames. That’s exactly how I think of it, Kathryn – it grows on you. Gertrude is okay but a little too harsh for a little girl I think. I really like Trudy but would never use her as she is too much of a nickname. I love Greta though and there is always Gretel as well. I just hate that “trude” sound, whether in the full Gertrude or the shortened Trudy. Just one of those names that I have a physical negative reaction to. I think it’s on par with rising star Matilda as far as ‘fusty battleaxe vibes” go and I greatly prefer it to name nerd favourites such as Adelaide and Charlotte. In saying that I’d probably accept that any daughter I bestowed it on would likely want to kick my arse later in life for such a moniker and with that in mind I wouldn’t touch it with a ten foot barge pole. I can’t help liking Trudie and Gertie. I’m with the group that lists names like Gertrude,Hilda, Helga, Bertha etc as really, really bad names. To me, the names don’t sound feminine & are dated in an extremely negative way. I think of a person with the personality along the lines of Gertrude the Prude. Some of these names remind me of negative eras & just don’t personally fit the things that I like. Some vintage names are whimsical and romantic, but Gertrude just seems stiff, starchy & overall -highly unappealing. I don’t think it’s the worst name that could ever be given to a person, I just find it a lot to live up to & it doesn’t seem like a name that’s even worth the fight to me. I also don’t like Trudy or even Judy. It’s a sound thing. Hildegard, another ugly on the ears name, is one of my favorite Christian mystics. I must learn more about Gertrude! Hildegard – also saintly, also leads to the so-cool nickname Hildy! Gertrude isn’t as awful as the “worst” thing to call your daughter… I think it is OK but you’d have to be pretty darn confident to use it and I’d hazard that your kid would have to have a bit of a thick skin too. It’s not the easiest name to wear. Still, Trudy is cute, but call me nuts, I prefer Gertie. Greta, Gigi (yes! ), Goodie, Tru, and Rudy are all possible nns for Gertrude. It seems doubtful to reach the heights of the early 20th century, but I could see some ultra-cool folks embracing her. And I can embrace at least some of the nicknames, no problem! I’m with you on the nicknames – I really love Trudy/Trudie! And Gigi? That’s a fabulous split between the frou-frou French and the solid German! […] Something tells me that Madison, however reviled she may be on message boards, is actually another Jennifer – a name we never considered until she was so common that the name became perfectly ordinary. […] Should the movie succeed, Grainne could be far more accessible to American parents. […] have borrowed plenty of names from the pages of Shakespeare’s plays: Gertrude and Ophelia from Hamlet, as well as Jessica, Juliet, Portia, and more.